The proliferation of seasonal discounting days such as Black Friday have seen a new breed of savvy customer emerge – according to IMRG, Black Friday 2015 saw a 135% increase in online retail purchases, resulting in the biggest November sales figures in history. With many people shopping only on a designated sale day or when they have a voucher code, what can retailers do to challenge this way of thinking and keep future sales steady? It’s a fact that consumers need to be rewarded for their custom. Value exchange is at the heart of retail when it comes to loyalty. But loyalty programmes and cards, based on point collection, have now become less powerful and exciting for both retailers and their customers. The same can be said for discount codes. Most retailers apply standard promotional tactics – meaning consumers are loyal to everyone, therefore not loyal at all. Globalisation and advances in technology make it even harder for retailers to find their differentiator to re-establish true consumer loyalty. Which begs the question: what type of reward system will mutually satisfy retailers and consumers? The decline in traditional schemes has triggered research into innovative programmes to captivate the attention of ‘generation loyalty’. A recent study by dunnhumby shows that forming an emotional experience with shoppers fosters long-term loyalty. Considering the individual needs of customers is a better way of running promotions. Currently, different types of incentives used by retailers fail to take individual requirements into account. Despite efforts to date, in particular those of grocery brands, rewards are lacking personalisation – an experience that should match the customer’s lifestyle in order for a long-term, purposeful engagement to take place. Typically, customers are rewarded with gifts, vouchers, discounts and loyalty points. But none of these actually involve consumers directly in the process. Nascent initiatives being employed by retailers to encourage loyalty are incorporating the concept of gamification. Gamification adds the much-needed element of surprise and engagement, coupled with a nurturing sense of community, accomplishment and status recognition. Retailers triumph as shoppers are doing their marketing for them, sharing memorable experiences through social media and encouraging others to take part. Footwear retailer Brantano used a rolling dice game that allowed customers to win an extra discount (between five and 20%) for items already on sale, both online and instore. In this specific case, discount codes under the gamification umbrella were more appealing to customers, who were curious to take part in the game. Consequently, Brantano managed to differentiate itself from competitors while making its customers happy. One of our own clients is testing a very new development around multichannel gamification. Media Markt, Europe’s largest consumer electronics retailer, offers customers a chance to win their basket for free. The promotion involves playing a game directly after purchase via a digital scratch card or a jackpot machine instore. The consumer feels positively engaged with the retailer as a feeling of suspense and surprise is introduced. Both examples show that the more involved a customer is during the shopping journey, the likelier the loyalty will increase. Gamification makes it possible to treat every customer as an individual and not part of a targeted segment. The future of loyalty is heading towards a gamified and technologically led customer journey. An interesting study by Capgemini Consulting reveals tactics retailers are starting to use. A standout tactic is ‘geofencing’, involving a shopper receiving a message whenever they are close to a store. These types of advances ease the flow of information to and involvement of the customer. Engaging individuals via their personal shopping habits encourages multichannel behaviour. The ideal reward system should be centred on the multichannel experience: reaching consumers pre, during and post purchase. This is key to ensuring customers have a positive experience, which in turn leads to captivating the attention of generation loyalty. 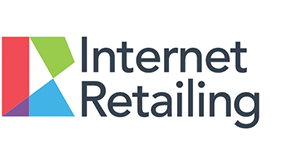 Published on Tuesday 8th March 2016 by Internet Retailing - GUEST COMMENT by Géraud de Borchgrave, CEO of Luckycycle. To visit the press release at Internet Retailing, please click here.